The DUP and Health Minister Jim Wells has landed himself in hot water over comments he made linking gay parents and child abuse. Wells made the controversial remarks at a speaking event on gay marriage in Downpatrick on Thursday where the audience were apoplectic at his sentiments. Wells said at the meeting "The facts show that certainly you don't bring a child up in a homosexual relationship. That child is far more likely to be abused or neglected... in a non-stable marriage". The DUP minister later apologised for his comments saying "I regret having wrongly made that remark about abuse and I’m sorry those words were uttered. The comment did not reflect my view nor that of my party." However, the apology was preceded by an initially non-apologetic stance by the Health Minister leading many to question the sincerity of his retraction. Wells reasoned that he has had a difficult week leading to the event and had "just come from a hospital visit” and as such his “focus was not on the debate". 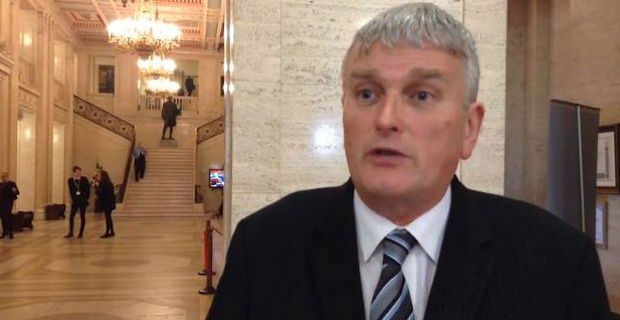 His apology has not impressed the opposition however with UUP leader Mike Nesbitt saying "If the real Jim Wells is reflected in yesterday's comment I do not have any time for Jim Wells to be the minister for health." Sinn Fein’s Chris Hazzard echoed those sentiments insisting that the remarks "call into question Mr Wells' responsibility and ability to run a health service for all." He added "Unfortunately, this is only the latest in a long line of attacks on the LGBT community by the DUP". John Snow says out you go!